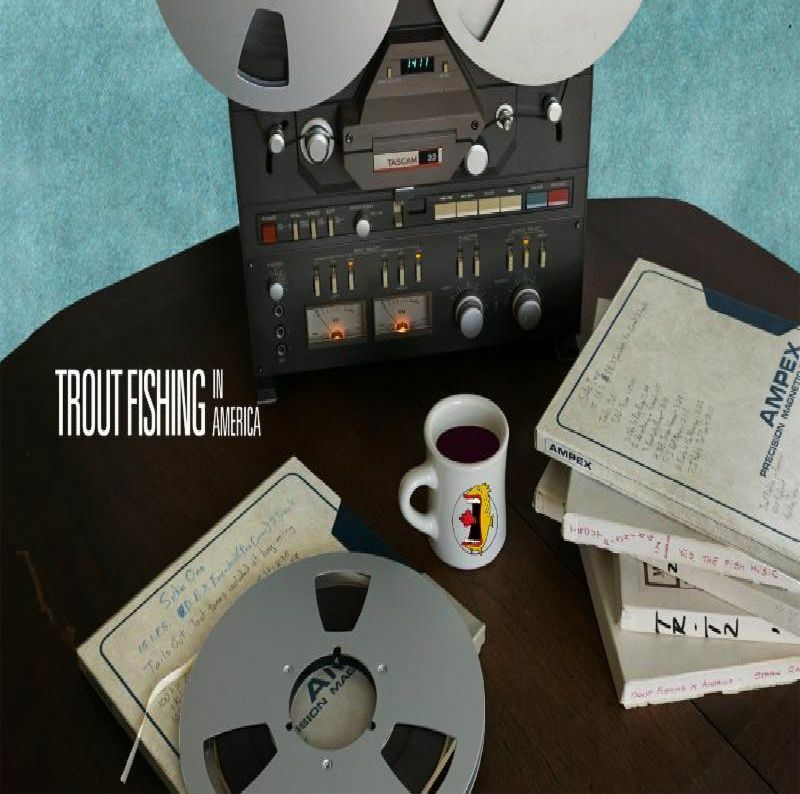 We are very proud to note Performing Songwriter Magazine( June 2008), has chosen three time Grammy Nominees, Trout Fishing in America as one of the 100 most influential independent artists in the past fifteen years. 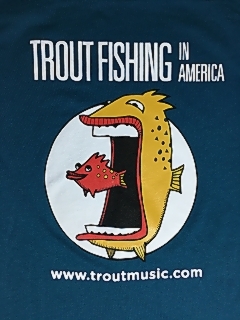 Sandwiched in the pages between Phish, and Widespread Panic, Trout Fishing in America could not be more pleased with company that included, such independent music luminaries as Willie Nelson, Jack Johnson, Ani DiFranco, David Byrne, Tom Waits, Bradford Marsalis, Alison Krauss , Jimmy Buffett, Steve Earle to name a few. A photo of Trout Fishing in America reveals that we are, if nothing else, a band of stunning contrasts. There is a sense of balance in the equation. Contrast and balance. In live performances, we try to balance our serious songs with our not-so-serious songs. We balance presenting new songs with revisiting some of our old standbys. This concept applies to places we play as well. Our upcoming schedule is an exciting combination of familiar places that feel as comfortable as a pair of old shoes and new, unpredictable places full of people who have never heard us. When we visit Enoch’s Irish Pub and Cafe in Monroe, LA and The Reston Community Center in Reston, VA, we feel like we’re with family. The atmosphere in these venues and the folks we work with team up to make these special evenings of music and fun. In contrast, there are several new places for us, something we always find exciting and we certainly hope to make these special evenings of music and fun too. We will need your help. Someone needs to be there, so either you show up or tell someone you know in the area to show up! It works either way. Maybe you can show up together! These are new places for Trout. Most of these folks will be hearing us for the first time. It’s amazing, when you stop to think about it, how many people in this country have not heard our music. We’ve played music for a lot of people and covered a lot of territory in 40 years of Trout, but there’s always new worlds to discover. Our newest CD, Live At The Epic Theater, will be coming out sometime in April! We two old guys recorded two shows at a brand new theater in Grand Prairie, TX. The album captures the feeling of a live Trout show with older and newer songs in this collection. Are you feeling a theme here? Speaking of old and new, Keith took his 4-year old grandson to the Grimwood family garden to plant potatoes on St. Patrick’s Day. “I don’t like potatoes,” said Jameson. “French fries are potatoes,” replied Keith. “Oh, I like them. Let’s plant all the potatoes, Boompah!” Young and old, familiar and fresh, conservative and liberal. A balance is the best. On January 19th we recorded 2 live concerts at The Epic Theater in Grand Prairie, TX. What a great facility! The crew was fantastic! We’d like to thank all of you who made it out for those shows. On the day after the recording, Ezra mixed the tracks with Dave Wietzel in The Epic’s state of the art control room. We came home to the Trout Studio where we did the final edit. I say “we” …more like Ezra did 99% of the work while I watched and told him what a great job he was doing. 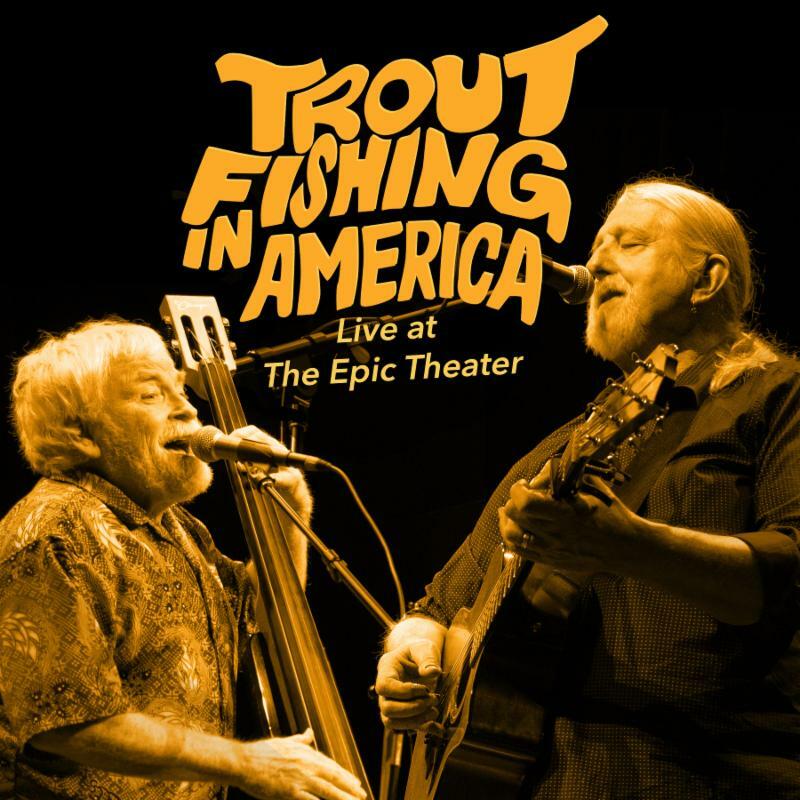 The project (Trout Fishing in America, Live at The Epic Theater) will soon be sent to Mastering and Production and should be released early this Spring. Yes, pre-orders are available. In March we will leave the friendly confines of the studio and hit the road again. First, we head to Texas for shows beginning March 1 in Tomball. If you haven’t been out to Main Street Crossing in Tomball, you really should. It’s a great listening room (and restaurant) with an impressive entertainment calendar. On March 2, we’ll return to The Backstage at El Mercado in Austin. It’s a cool listening room reminiscent of the old Texas Opry House (from ‘BACK IN THE DAY HOUSTON’) except it’s a bit smaller and El Mercado serves awesome Mexican food. What’s not to like? 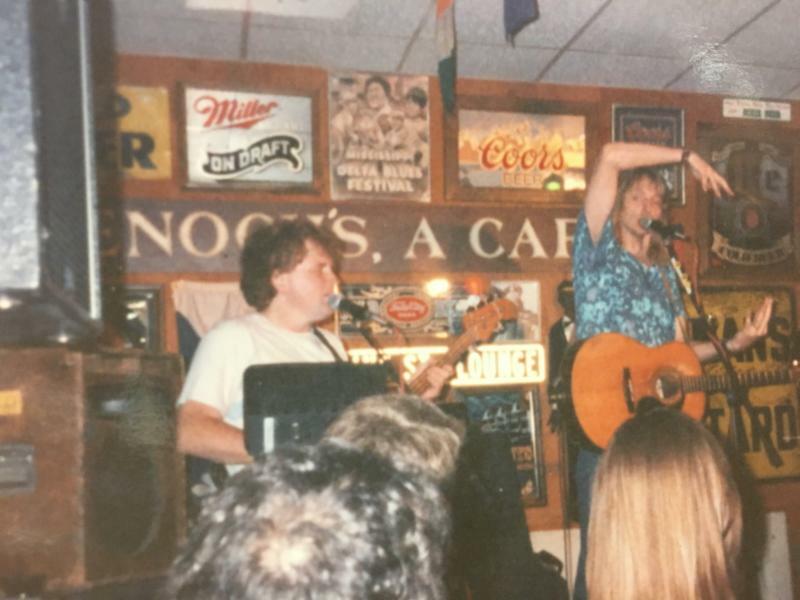 On our way home, we’ll stop in at Poor David’s Pub in Dallas on March 3 to help David Card celebrate his 42nd anniversary of presenting great live music. Way to go, David! Then we head west to Taos, New Mexico for our premier performance at the Taos Mesa Brewing Company (The Mothership location). Tell all your friends and let’s fill this place up on March 8 so we can make a good impression. Then on the 9th, we visit our friends in Alamosa, Colorado for a show at Society Hall before finishing up the tour at the legendary Swallow Hill in Denver on March 10. But wait, there’s more! 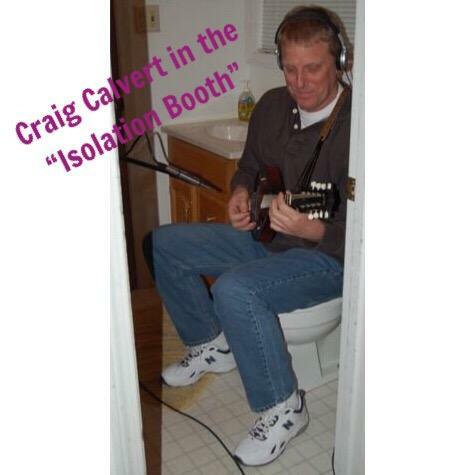 Later in March, Craig Calvert and Connie Mims will take a field trip up to Arkansas to work on Wheatfield’s latest album. While they’re in town, Wheatfield will play a concert in Fayetteville on March 23rd. More details about the show will post on Wheatfield’s Facebook page and their website. As always, you can check out Trout’s full concert calendar for a further vision into the future. It is officially 2019. 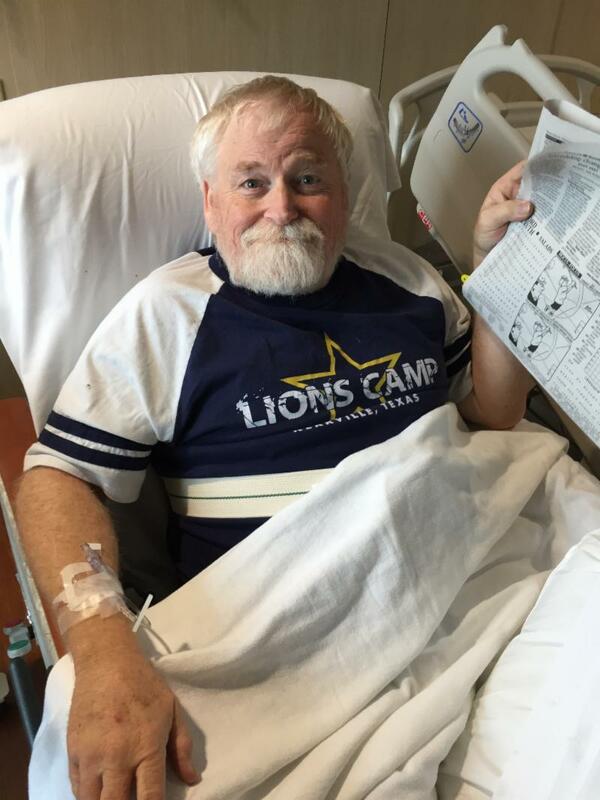 Today marks exactly one month since Keith had his right hip replaced. He’s walking around the Trout House without a cane, without a walker, without pants. OK, we’re exaggerating here. He’s wearing sweat pants. We’re back at work and that feels great: so many things to do and so many things to tell you about. Let’s start with the Epic Theater on Saturday January 19th. The Epic is a brand new multi-million-dollar community facility in Grand Prairie, TX. It is truly incredible. Besides a state of the art performing arts center, there is an enormous indoor water park, exercise facilities and classrooms for continuing education. Trout will record a live album from our two performances. Both shows are free to the public. You do need a ticket and you should consider getting one sooner than later because the first show is nearly sold out. That’s impressive until you realize the show is free. Actually, it is impressive. We want to fill both concerts up! It’s an experience you don’t want to miss. Bring the whole family; this is going to be a show for everybody. A week later, we’re going to be at the Greenwood Performing Arts Center in Greenwood, AR just south of Ft. Smith. Ezra remembers going to Greenwood to watch his children play basketball in an incredible high school gym. The Prairie Grove Lady Tigers got whipped by the Ozark Lady Hillbillies. Dana, Ezra’s daughter, came out of the game saying, “that girl plays like a man!” We promise to play like men too when we come to play music at the Greenwood Performing Arts Center! Our shows in 2019 will be centered around celebrating 40 years of Trout. It’s almost impossible to imagine that we’ve been doing this that long. We’ve driven or flown well over a million miles. 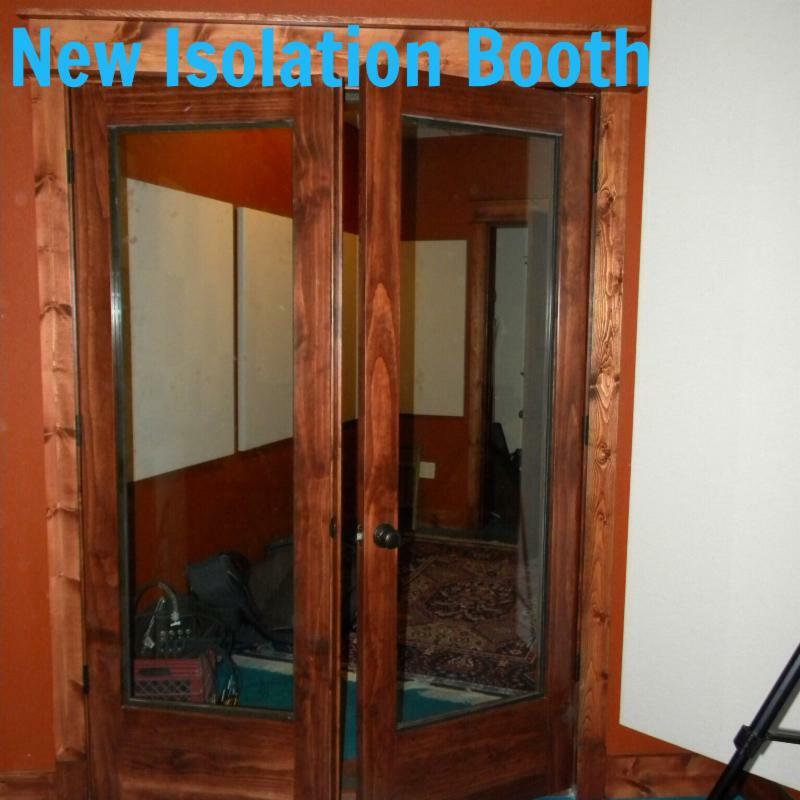 We’re back in the all new Trout House studio recording a retrospective that will include music from our entire career. We’re recording the project as a duo. 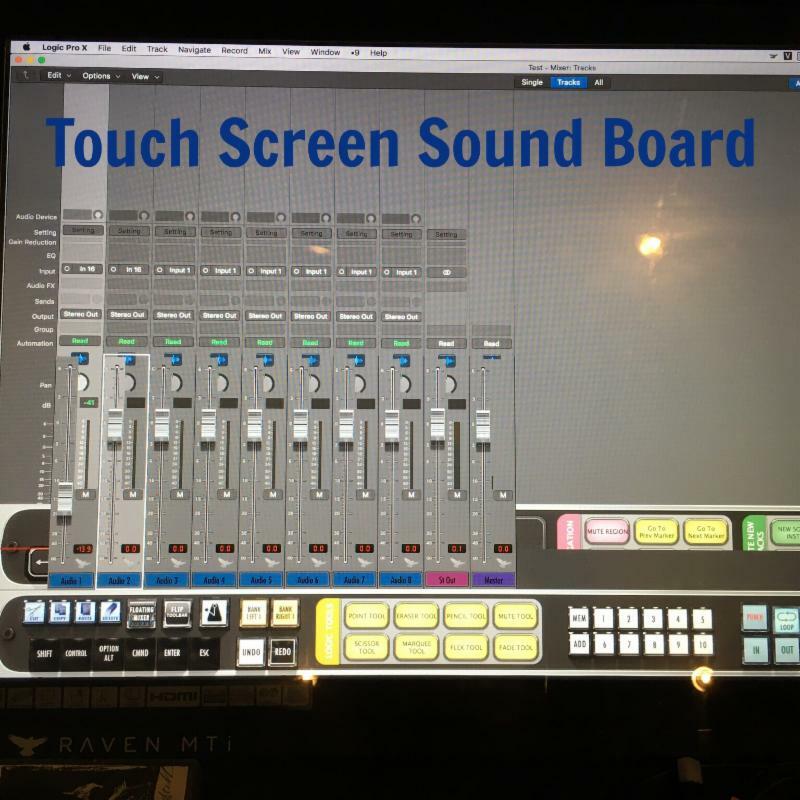 What you hear when you come to our shows will be what you hear when you listen to the recording. We’re staying home for the month of February to put the finishing touches on it as well as work on the new Wheatfield album. You can always check our calendar to find out where we’re headed. With the distance we’ve traveled to gigs in the last forty years, we could have made two round trips to the moon, driven to El Paso and back, and still have miles to go before we match our actual travel. If you ask us if we still like the road, the answer is yes! All of that road work has taken a toll on Keith’s hip and he just got a new one! It should be good for at least another million miles. We’ll be taking the month of December off so he can recover and get ready for the next million miles. Our first gig back from this time off will be at the Epic Theater in Grand Prairie TX. “Epic” is perhaps the only way to describe this community facility. It includes a giant indoor water park, gym facilities, classrooms, art studios and a state of the art recording studio with a world class performance space connected to it. We’ll be doing two free shows (2pm and 7pm) at the Epic Theater on January 19th. Both of these shows will be recorded for a live album. If you don’t live in the Grand Prairie area, think road trip! It’ll be worth your while. Click here to get your free tickets! All in all, it’s been a really good year for us. Our latest limited edition project, The Dusty Dozen, is selling briskly. Get it before it’s gone! 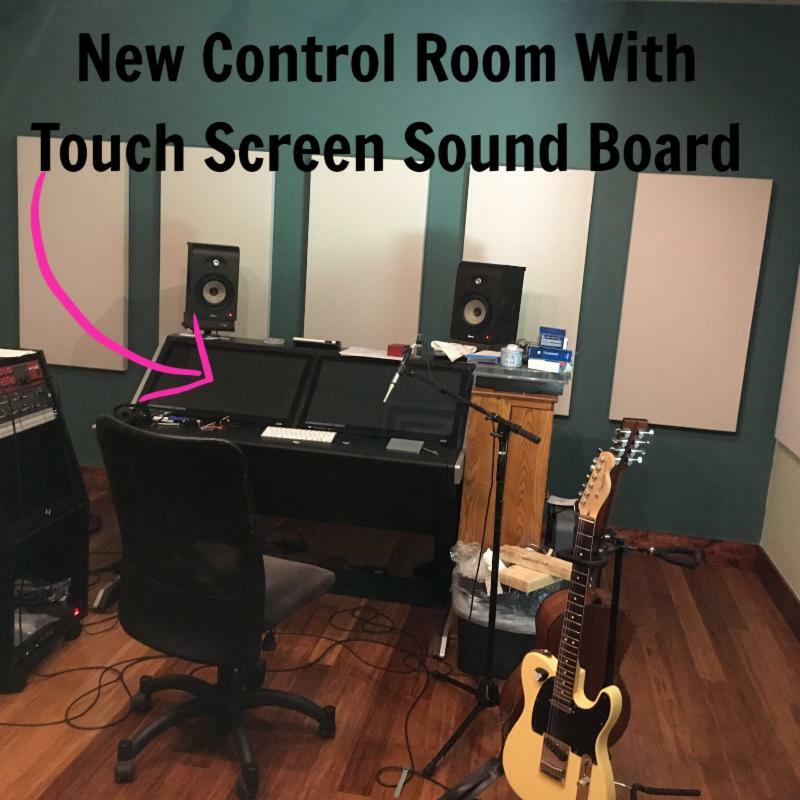 The new Trout House studio is built and we’re busily working on our retrospective album that will represent 40 years of Trout. We hope you all have a happy holiday season. Thanks for taking the time to read our newsletters. Oh! 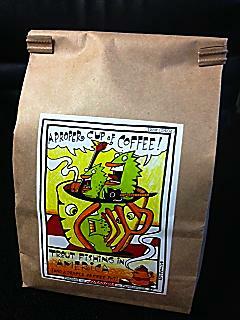 On your way out of this newsletter, check out our seasonal “Proper Cup Of Coffee” coffee and our year end sale. Take 15% off of all Trout shirts, CDs, our “My Best Day” DVD, and Chicken Joe books by using the promo code TFIA15 at checkout. We offer free first class shipping in the US. So much is going on at Trout World Headquarters; you’ll have to pay close attention to keep up. Earlier this month, we introduced the latest Trout t-shirt. The adult sizes are deep teal and the kid sizes are sapphire blue. We’ve taken them with us for the past several shows and they are a hit! We also have them for sale on our website. In November, we will release a limited edition CD (only 300 copies will be printed!!) called The Dusty Dozen. It contains 12 songs from our first 4 albums, covering the years 1979-1988. 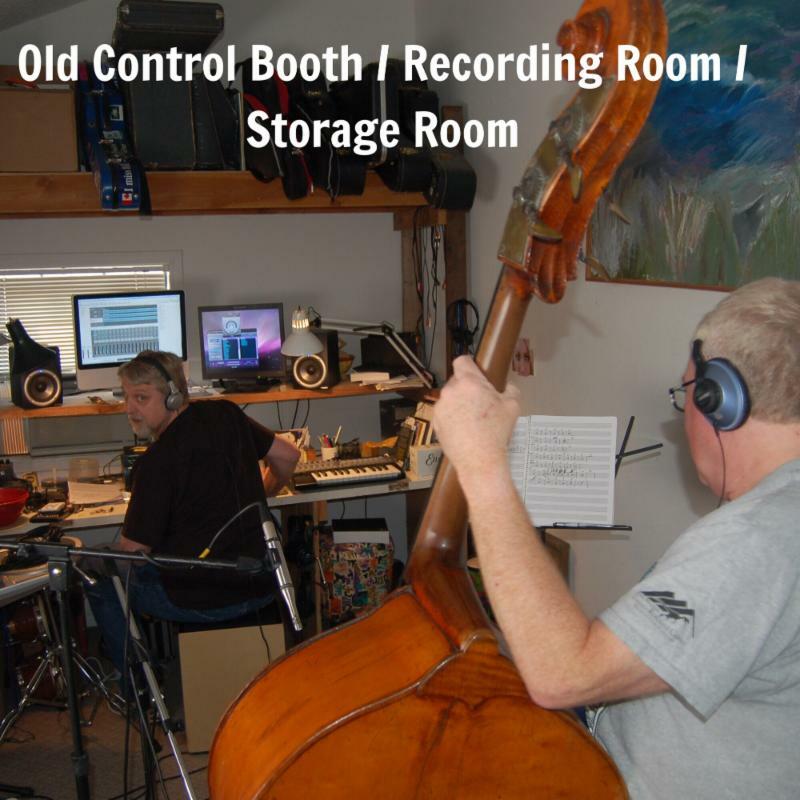 We’ve restored the original master tapes from those sessions and put together a treasure that chronicles our early progress as songwriters, musicians, and singers. The Dusty Dozen is a prequel to our upcoming 40 Years of Trout project which will be released next year. 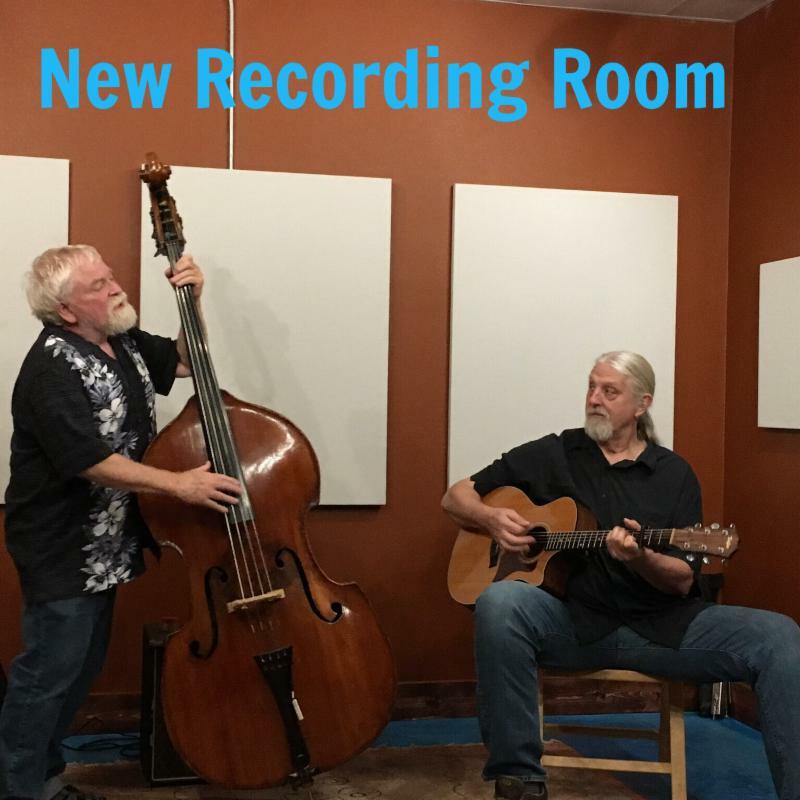 We’ve been looking over our catalog of songs from the past and have been hard at work (OK… having a blast) in the studio recording them as the duo. It’s fun and challenging to re-imagine these tunes. Pre-order your copy here. Wheatfield is the band that Ezra was playing in when he met Keith. 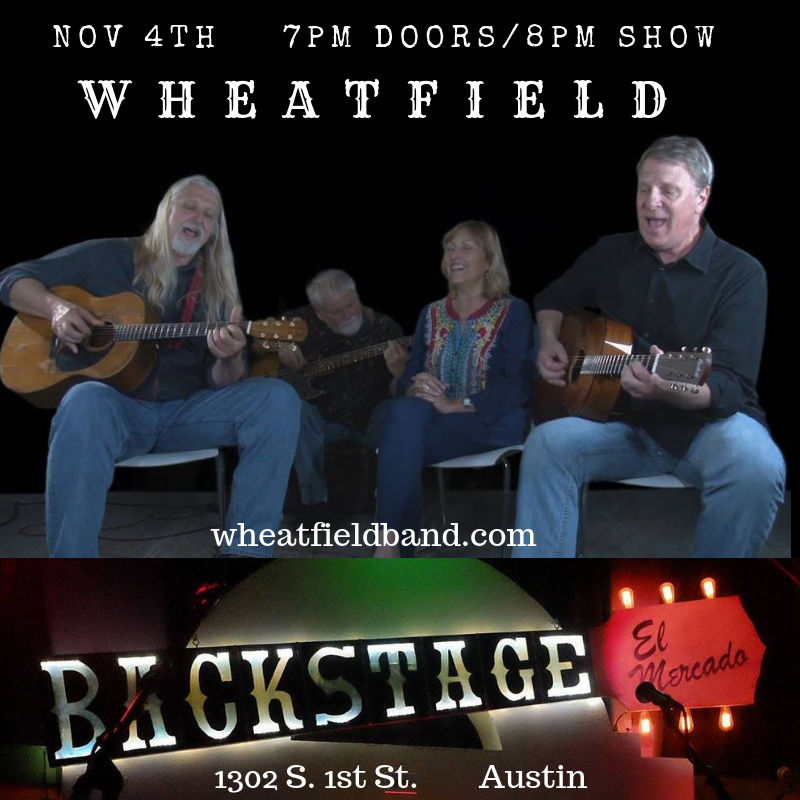 We’ve been doing shows as Wheatfield every year since 2004 and it’s been an great way to continue making music with our friends Connie Mims and Craig Calvert. Wheatfield will perform in Texas for two exciting nights! We’ll be in Houston on Nov 3rd at the Mucky Duck and the Backstage in Austin on Nov 4th. This band makes some really fine music that you’ll enjoy. After that tour, Trout Fishing in America will return to Sellersville, PA at the Sellersville Theater on Nov 10th. Then we’ll head to Texas at the Thoreau Woods Coffeehouse in Huntsville on Nov 17th and Poor David’s Pub in Dallas on the 18th. We close out the year with a Nov 30th show at the Mucky Duck in Houston, and a Trout kid’s show at the Duck on Dec 1. After that, Trout Fishing in America will take the rest of the year off to be with our families. It’s been a really good year for us. There’s something special about looking over what we’ve written and done over the past 40 years. It’s like finally opening those boxes of pictures you’ve been stashing in your closet for years, intending look through one day. You see old friends and places that you haven’t thought about for a while and it calls up important memories and feelings. We’re right in the middle of that nostalgia and having a blast talking about and recording some of our favorite memories. Come out and say hi. Bring 40 of your closest friends. Wear name tags.